Tour operator ‘Lupine Travel’ was the first in the United Kingdom to offer tours to Sudan as recently as 2017. It was even a news item at CNN! I think this gives a reasonable impression about the current state of tourism. 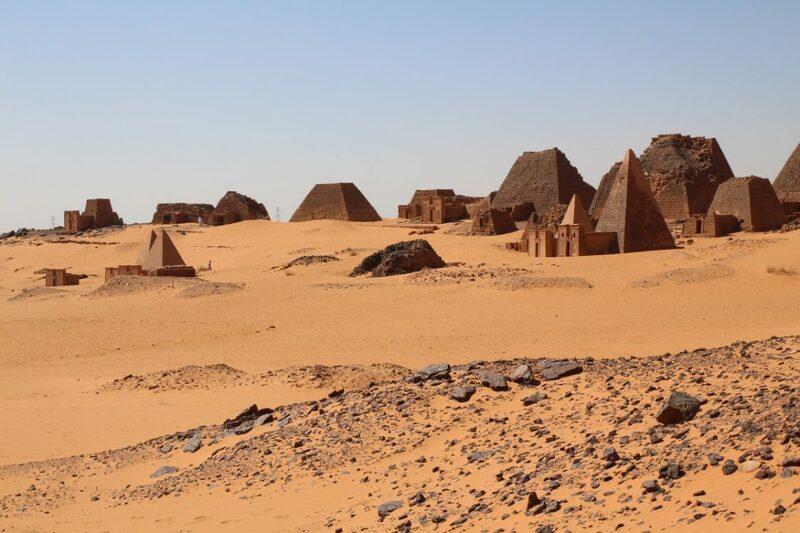 Tourism in Sudan is still in its infancy. However, Sudan is -even though I’m not a big fan of this term- truly a hidden gem. It offers amazing pyramids, a beautiful desert, ancient temples and welcoming people. Sudan is also a safe destination! 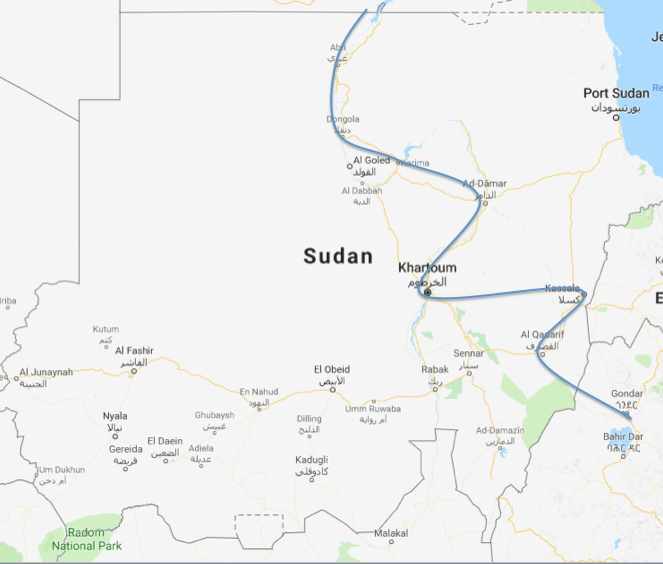 This is my suggestion for a two-week backpacking itinerary for Sudan, which is crafted to give you a good grasp of the entire country in a relatively short amount of time! 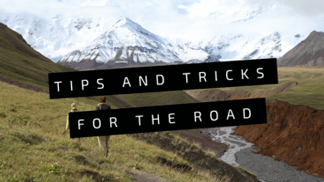 Since most backpackers in Sudan are overlanding from north to south or south to north, this itinerary starts in Egypt and ends in Ethiopia. 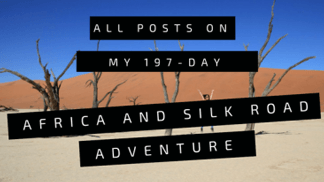 Personally, I solo traveled 18 days through Sudan, but I easily could have stayed longer! 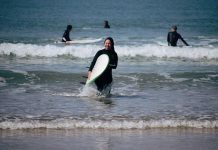 Of course, this itinerary is just to give an impression ;)! Personally, I never stick to an itinerary or plan. 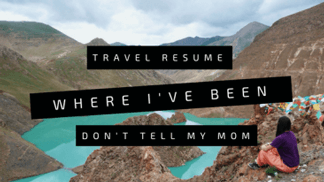 Backpacking is all about freedom and the unexpected, isn’t it? 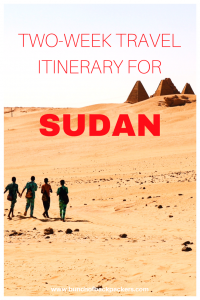 Example of a two-week backpacking itinerary for Sudan! 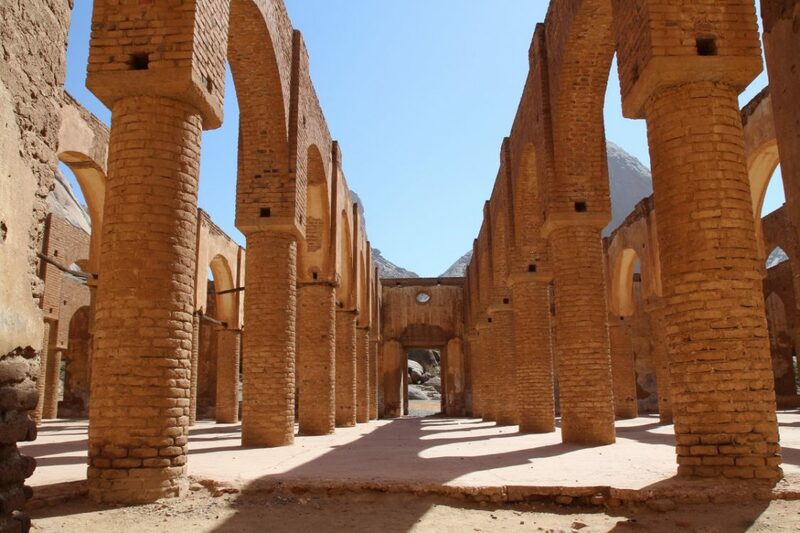 Explore Abri, a beautiful Nubian town and the temple of Soleb. 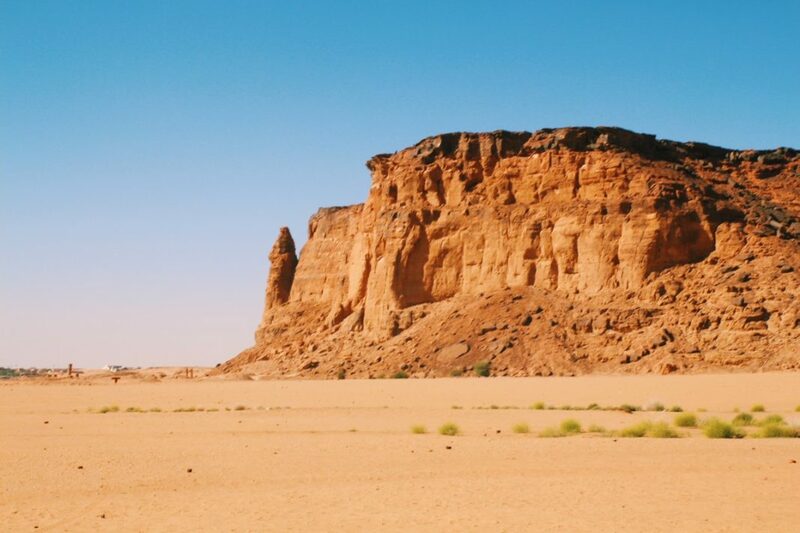 Explore the amazing Meroë pyramids! Places to add to your itinerary! 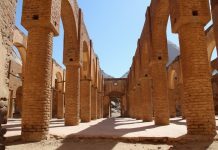 Two-week Sudan backpacking itinerary from the Egyptian border to the Ethiopian border. Welcome to Sudan! 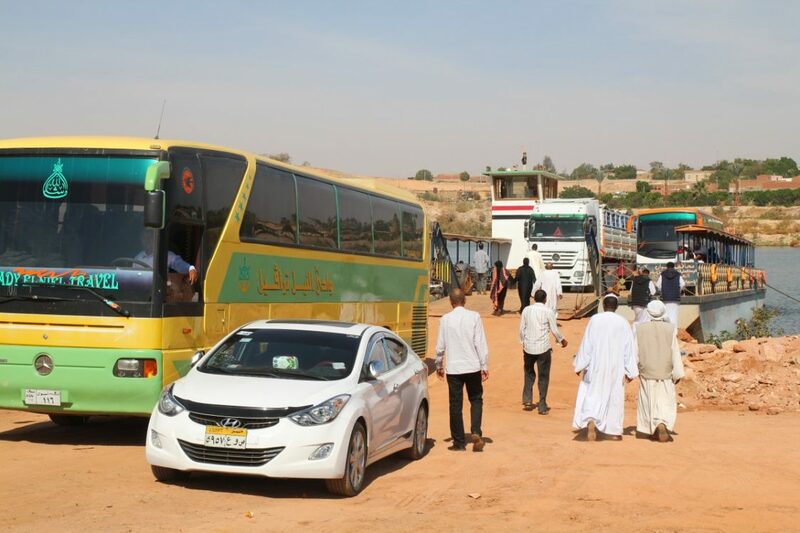 You survived the long bus journey from Aswan and will probably arrive just after dark in Wadi Halfa. Wadi Halfa consists of wide and sandy streets with a few restaurants and shops. There is not much to see, so I wouldn’t recommend to stay longer than one night. Wadi Halfa is perfect to get yourself sorted for your Sudan trip. You can easily register at the police station as required by the Sudanese government. Exchange some money on the blackmarket. Buy a sim card. Try your first Sudanese meal of ‘ful’! Accommodation: Private room Hotel Cangan in Wadi Halfa: 70 SDG (2,7 USD). A perfectly fine lokanda. Read more about the border crossing from Egypt to Sudan here! Short ferry crossing on our way to Sudan from Aswan. Copyright Bunch of Backpackers. Chai cafe. People just left. Copyright Bunch of Backpackers. Abri is a friendly and photogenic Nubian town. Even though quite a few travelers must be passing through these days, people in Abri still welcome you like you’re the first traveler they ever meet! From Abri, you can visit the temple of Soleb. You could ask Magzoub to drive you in his old car, go by public transportation or in my case, hitch a ride with a fellow guest. You will also have to cross the Nile by boat. Magzoub has the boat man’s number. Tip: Save Magzoub’s number in your phone. If you need translation, you could try and ask if he can translate. I was once completely lost in translation and by just talking a few minutes on the phone, he helped me greatly! There is not much to see in Dongola, but it is a friendly and prosperous city with quite a few shops and restaurants. 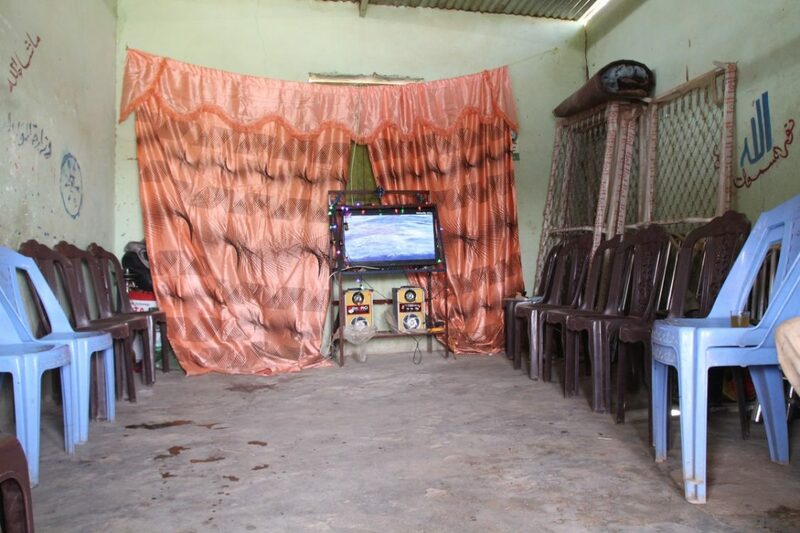 I stayed at my Sudanese friends’ (whom I met in Wadi Halfa) house in Dongola and my time mostly consisted of visiting their family and friends. Instead of Dongola, I would strongly consider to visit the archeological sites of Kerma! They are suppose to be amazing! 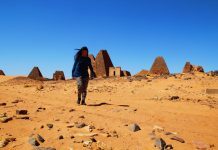 Find a detailed overview of all my Sudan backpacking expenses here. With my lovely Sudanese friends. Copyright Bunch of Backpackers. Continue your route to Karima, an unattractive small town in the middle of the desert. However, Karima does have many cool sights to offer! Climb and admire Jebel Barkel, the famous holy mountain. 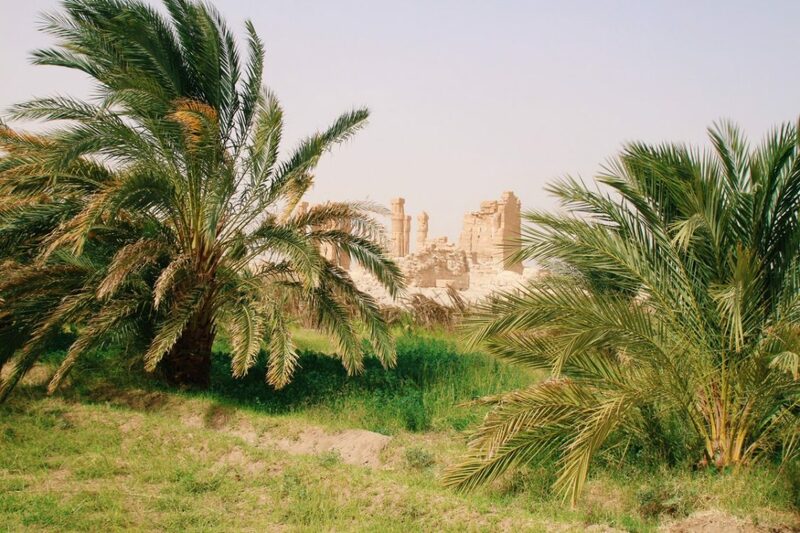 At the foot of Jebel Barkel you will find the ruins of the temple of Amun. Near Jebel Barkel you will also find some well-preserved pyramids. The ruins of the pyramids of Nuri. You need to take two different minibuses to get to Nuri. Ask in Karima and they will tell you which ones. It’s easy! Don’t miss Nuri! The pyramids are in a bad shape, but that’s what makes it somehow a beautiful and pure sight. You’re probably the only visitor. El-Kurru tombs. I took two buses from Nuri to the tombs. If you get to El-Kurru, find the ‘man who keeps the key’ and you can enter one of the tombs to admire the paintings! Accommodation Karima: Private room Al-Nassr hotel in Karima: 120 SDG (4.6 USD). Allright hotel. 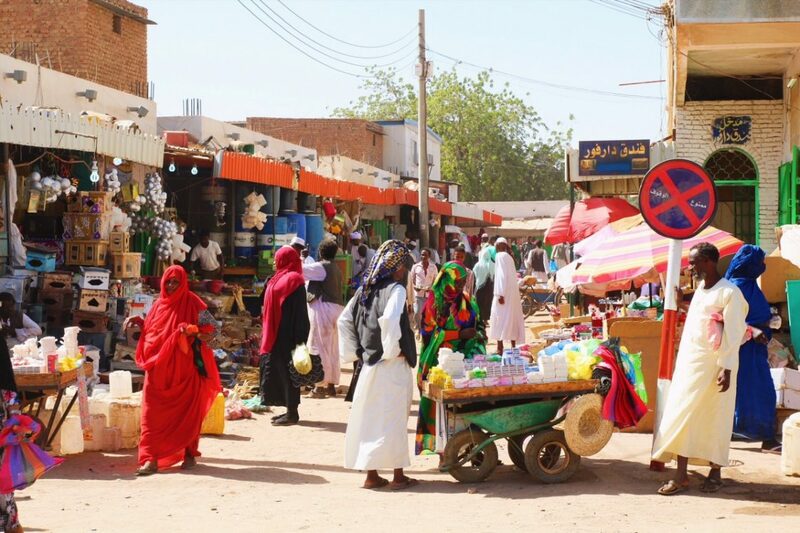 Atbara is a busy railway town with well-stocked shops and also a small Railway museum. I only spent the night in Atbara, so that I could easily visit the Meroë pyramids the next morning. Accommodation Atbara: Private room Al-Bashra hotel in Atbara: 280 SDG (10.8 USD). The owner/manager speaks excellent English. This is Sudan’s most popular attraction and you will most likely meet a few other tourists here. In total there about 100 pyramids. You can also enter some tomb chambers. Accommodation: You could camp in the desert! Bring enough water and food. There are no shops around. I did not stay here, because it was NYE and I wanted to be in Khartoum. Transportation Karima to Meroë: Bus Atbara to Shendi (drop-off at Meroe): 50 SDG (1.9 USD). From Meroë, I hitched a ride to a nearby gasstation. From there, I found a big bus to take me to Khartoum. 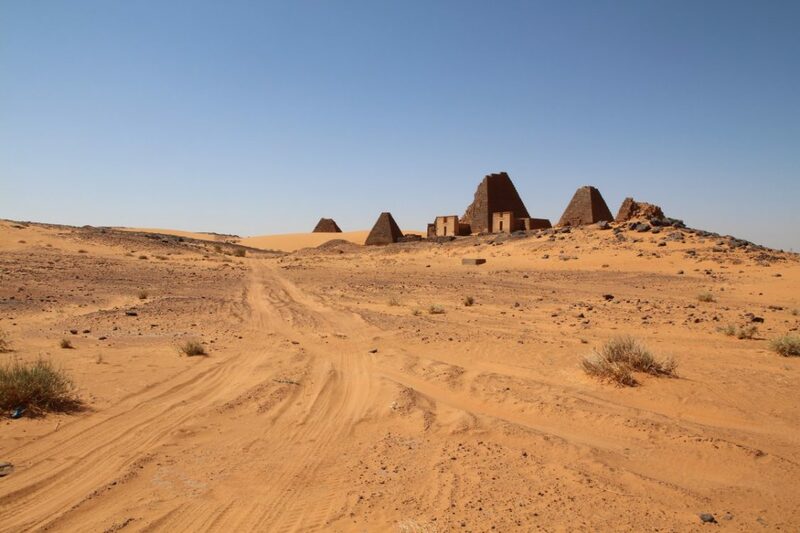 You can also visit Meroe as a day trip from Khartoum! Meroe pyramids Sudan. Copyright Bunch of Backpackers. Welcome to the big city! I liked Khartoum and stayed almost an entire week. However, in general I would say 2 days should be enough to visit the most important sights. 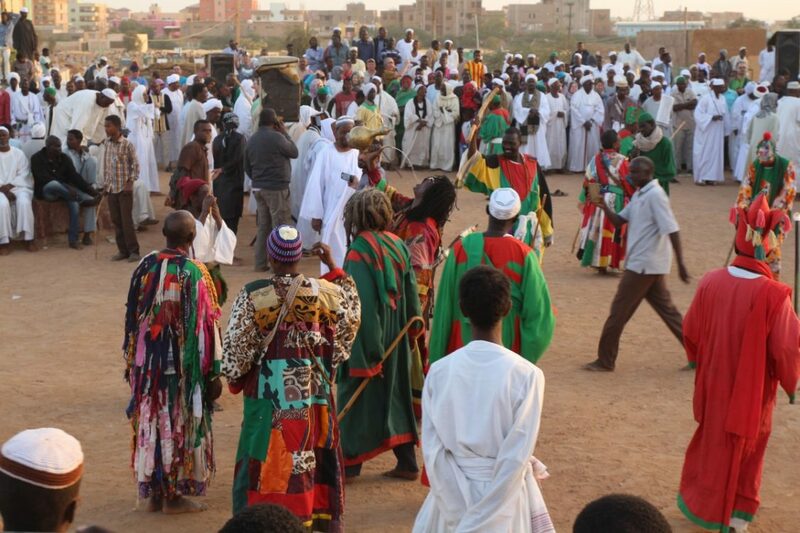 I would highly recommend to include a Friday for your Khartoum visit, so you can attend the Sufi dervishes ceremony. Go to the Jazz Cafe (or Papa Costa) for some cool live music! 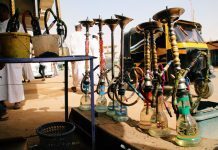 Find more information in this article on What to do in Khartoum! Accommodation Khartoum: Female dormitory Khartoum Youth Hostel: 70 SDG (2.7 USD). The Khartoum Youth Hostel can be a bit difficult to find, but it’s right next to the Netherlands embassy. Fun place to stay. Met many fellow travelers. They have a beautiful garden. Private room KH2 hotel in Khartoum (same street at the Khartoum Youth Hostel): 250 SDG (9,6 USD). Also a good place to stay. You can still hang out at the youth hostel. The manager is friendly and speaks excellent English. Good value for money. 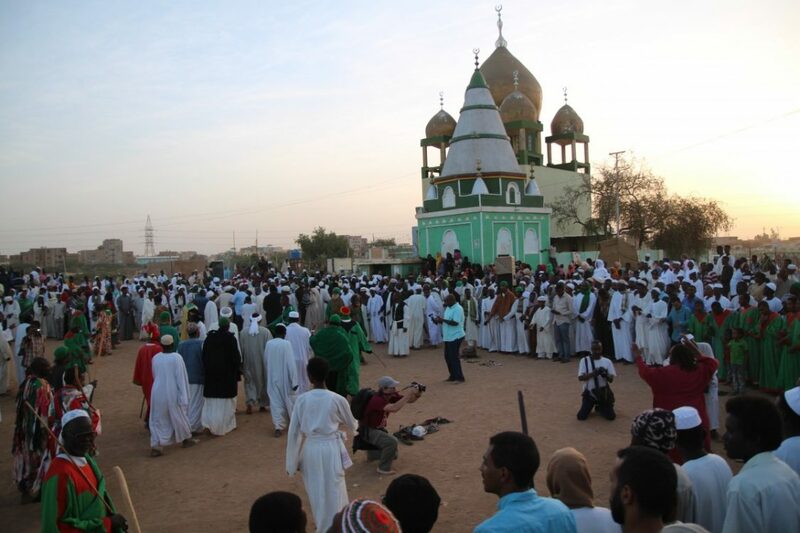 Sufi dancing in Omdurman at sunset. Copyright Bunch of Backpackers. Kassala was one of my favorite places. It is known for its lively souk, a famous Sufi mosque and the strangely shaped Taka mountains. 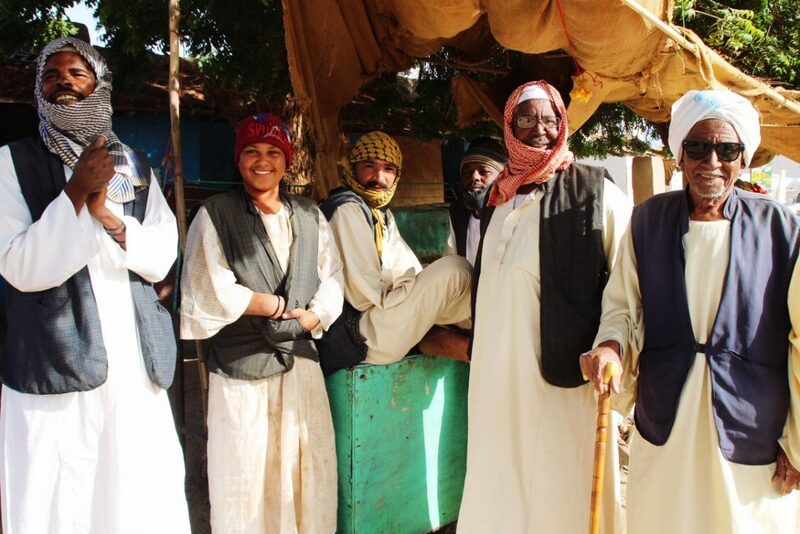 It also has a mixed population of Beja, Rashaida and Eritrean refugees. 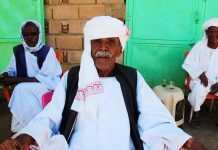 You will see quite a few soldiers in Kassala, due to its proximity to the Eritrean border. 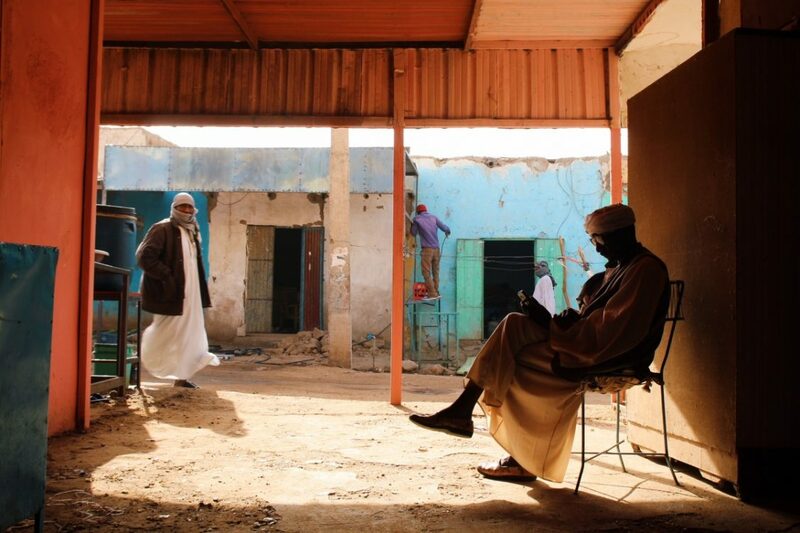 Wander around in the vibrant and interesting souks of Kassala. Here you will find many people with facial scarring, traditional jewelry or men carrying a traditional sword or knife. Accommodation Kassala: Private room Hipton Hotel in Kassala: 300 SDG (11.9 USD). Beautiful room. The gorgeous Taka mountains near Kassala, Sudan. Copyright Bunch of Backpackers. Market in Kassala. Copyright Bunch of Backpackers. My final stop of this trip was in Gadaref, before moving on to the border town of Galabat the next morning. In Gadaref they also had a big market with delicious fried fish! Unfortunately, it’s now almost time to say goodbye to beautiful Sudan and make your way to Ethiopia! 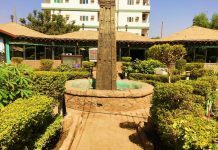 Accommodation Gadaref: Private room Elmotwakil Hotel in Gadaref: 350 SDG (13.5 USD). Most expensive, but also the best room of this trip. Central location. Make sure you have your Ethiopian visa. Read more about getting an Ethiopian visa in Khartoum here. Unfortunately, I did not have time to visit Kerma, Port Sudan and the Nuba mountains. From what I heard, Kerma and Port Sudan are both worth a visit. A friend went to the Nuba mountains with a travel permit, but was not actually allowed to go into the mountains, because it was still controlled by the rebels. He was only allowed to get into Kadugli, which was a friendly little town at the base of the hills. Any thoughts on this two-week backpacking itinerary for Sudan? Suggestions? Next articleWhat to do in Khartoum, Sudan? It may sound like a stupid question but when you traveled from Atbara to Shendi by bus with the drop-off at Meroe, when you visited the Pyramids what did you do with your backpack? In the majority of trips I did I always was based somewhere and left my backpack in the accommodation then explored freely, but for this trip since there are places to visit in between accommodations, it makes it a bit more “heavy” to walk around! Were the buses you took, mainly mini-vans or normal size big buses? We plan to do the reverse from Khartoum towards the north in October. I was wondering, could you please give me more details about the necessary time to travel between the destinations? Hello! I am doing a very similar trip in a month. Could you please tell me how many nights -or full days- did you spend in Karima to visit all the main spots? What about Kassala? Do you think two full days are too much? Thank you so much for your very useful information! 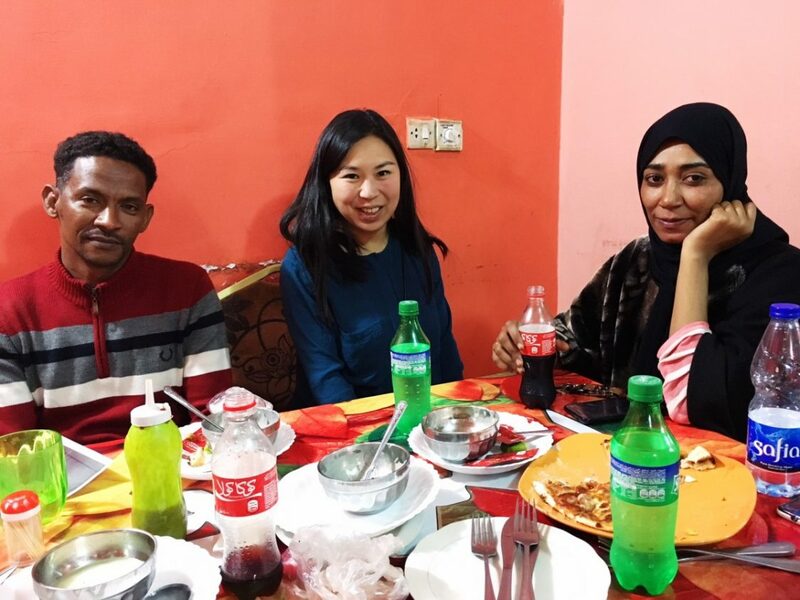 I think I spent 2 nights in Karima and 2 nights in Kassala. Maybe more, but not sure. You could visit all the main spots in Karima in 1,5 days. 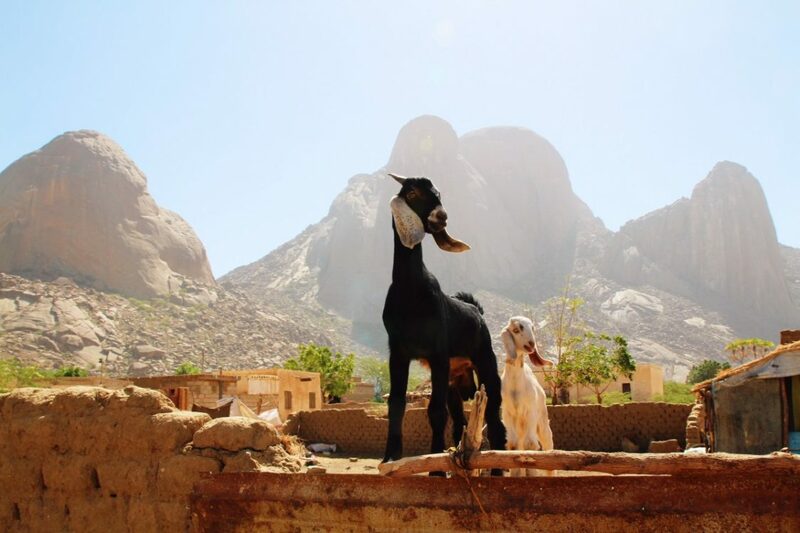 In Kassala, it’s basically the mosque, the mountains and the market, so you need at least one full day. I found Kassala very interesting, even though there is little going on. I could just spent a full day there, wandering around. If you have time left I would also visit Port Sudan (although I haven’t been there myself). Enjoy your trip!!! Really great post! 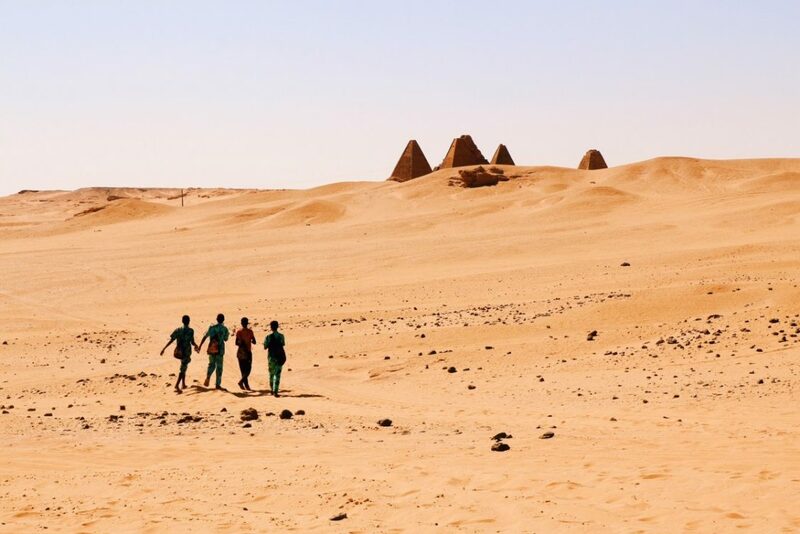 I had no idea what to expect of visiting Sudan, I never knew they had their own pyramids, that’s amazing! I’m so happy you mentioned that it’s safe for travel because I think that’s a perception many people have. It’s really interesting to hear about the route you took for this trip. Sudan is never somewhere I’d thought about going until reading this post, but then neither was Ethiopia. 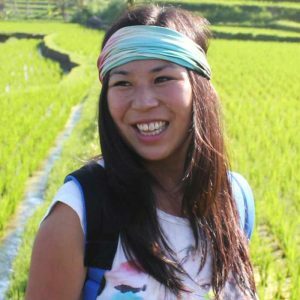 It’s really inspired another potential overland route for our next trip, so thanks. Your photos in this post are lovely too. This was very interesting and inspiring! I have to say, I didn’t know much about Sudan, and it hasn’t been among my top Africa destinations. However, now I really feel I want to visit there :) The pyramids look amazing, and of course the whole journey!